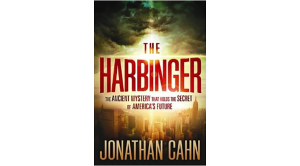 I strongly encourage everyone to read “The Harbinger” The Ancient Mystery That Holds the Secret of America’s Future (Thorndike Christian Mystery)”. Set in a fictional narrative framework, centering around nine seals that are directly related to Isaiah 9:10 connecting modern day America with ancient Israel. It explains everything that has happend from 9/11 to the economic global collapse and why America needs to repent.